The Riddler has always been my favorite Bat-villain and one of my favorite comic characters period. I have a special fondness for all the characters who feel a need to prove themselves in some form or fashion. And if my inner supervillain might make a confession, I'll admit to having a certain sympathy for Edward Nygma as another intellectual who doesn't suffer fools well, though I'm not homicidal about it. 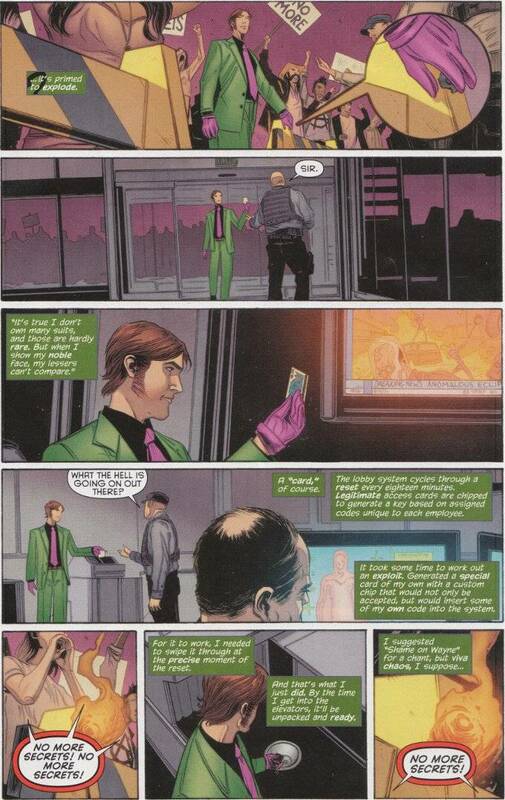 Both of these ideas are at the center of Riddler #1 - a special that focuses upon the method behind the madness of Edward Nygma as he attempts to circumvent the security of Wayne Enterprises' corporate office. Why? For several reasons that are revealed as the story unfolds, but in part just to prove that he can. Nominally this issue is a tie in to the Batman: Zero Year event currently taking place in the main Batman book. 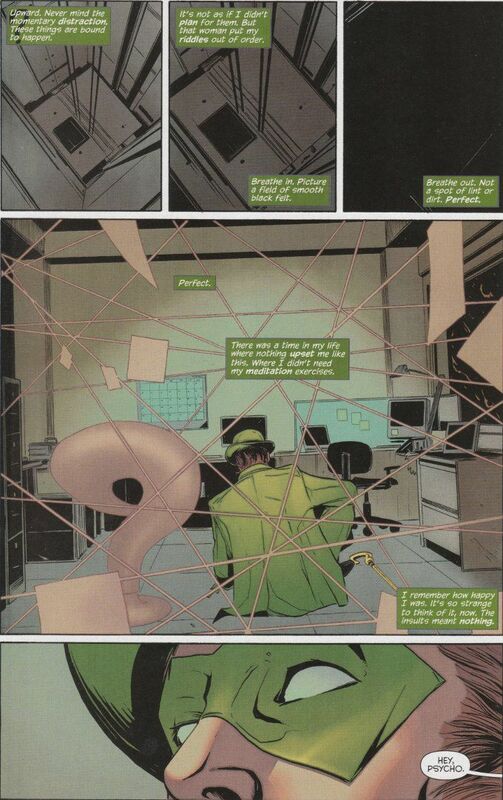 However, the only obvious connection to that story is that this features Scott Snyder's take on The Riddler. This Riddler is a fixer - a trouble-shooter who sees to the dodgy work of other people for a price. At least, that was Edward Nygma's role until seemingly being spurred to self-interest after one of his employers asked him what was the point in being the smartest man in the room if nobody else knew it? Snyder's Nygma is different than previous incarnations of the character, being as much a master of multiple disciplines as Bruce Wayne. Comparisons might be drawn between this Edward Nygma and Jim Moriarty from BBC's Sherlock, where Holmes' greatest enemy has been reimagined as a consulting criminal who helps other evil-doers as consulting detective Holmes assists the police. Nygma is as mentally unstable as ever, though his psychosis takes the form of an obsessive-compulsive disorder that drives him to be a literal know-it-all. It's an engaging take on the classic formula and Ray Fawkes does a good job bringing it about. Jeremy Haun offers an equally inspired visual redesign of The Riddler. 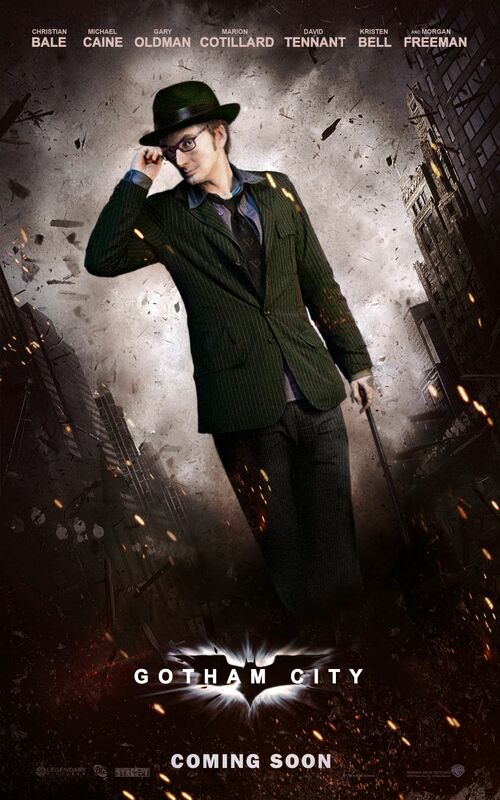 With his new sideburns and tools that basically amount to a piece of psychic paper and a multi-tool cane, it's hard not to see this Nygma as looking somewhat like David Tenant - perhaps drawing inspiration from a now famous fan poster? Regardless of the inspiration, Haun's cinematographic style depicts the story perfectly. The direction is fittingly reminiscent of several recent heist movies and the action is well-paced throughout. Riddler #1 is a welcome relief from the banality of titles that have made up the majority of the Villain's Month books so far. There are no tired tales of abusive childhoods here - merely Edward Nygma being his brilliantly baffling self. It's a good read for Riddler fans both old and new and gleefully fun in a sadistic sort of way.